This is bounded by DefaultBufferMaxRows and DefaultBufferMaxSize, two Data Flow properties. 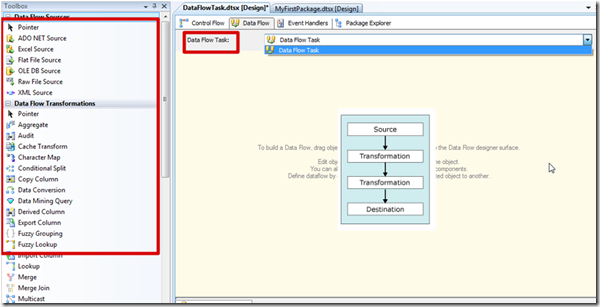 A Data Flow task can include multiple data flows. If a task copies several sets of data, and if the order in which the data is copied is not significant, it can be more convenient to include multiple data flows in the Data Flow task. 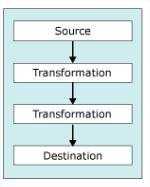 However, the data flow engine determines order of execution when there are multiple data flows within one data flow task. 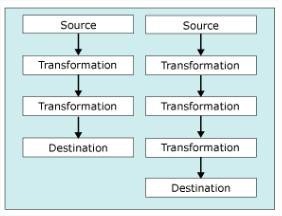 Therefore, when order is important, the package should use multiple Data Flow tasks, each task containing one data flow. You can then apply precedence constraints to control the execution order of the tasks.